Lunga River Lodge: at 22 500 sq km, Kafue National Park is one of the largest National Parks in Africa. In the extreme north of the Kafue lie the Busanga Plains - one of Zambia's most significant wetland resources and one of the few areas in the world that remain untouched by development and human activity. The deep and clear Lunga River is the largest tributary of the Kafue River and flows north to south through a mosaic of miombo woodland, riverine woodland and grassy dambos in the north east of the Kafue National Park. Species like puku and impala are abundant while roan and Lichtenstein's hartebeest occur in lower densities. Viewing of buffalo herd and elephant bulls is good while lion and leopard are regularly encountered. Additional interesting species in the form of yellow baboons and tree hyrax occur in the vicinity of the camp while a high density hippo population occurs in the Lunga River. Lunga River Lodge has six spacious thatched rooms with private decks that overlook the river, ensuring breathtaking views. A maximum of 12 guests can be accommodated at any one time and great emphasis has been placed on the "guided" experience - being led by qualified, enthusiastic people with in-depth knowledge of the area and its wildlife. 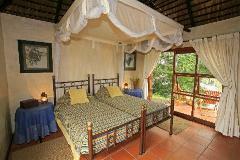 Activities include game drives, walking safaris and boating trips as well as fishing. Night drives provide the added excitement of the nocturnal wonders of the area. For those interested in birding, Kafue National Park boasts 491 species of birds, including endemics such as Chaplin's Barbet. 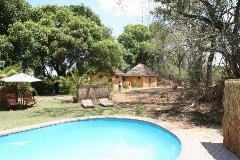 • Busanga Bush Camp, Kapinga Camp and Lunga River Lodge are closed between 01 December and 31 May each year. • Lufupa Camp and Shumba Camp are closed between 04 January and 30 April each year. 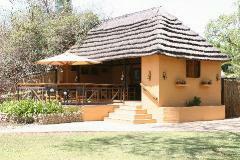 • Kalamu Tented Camp is closed between 01 December and 31 May each year.